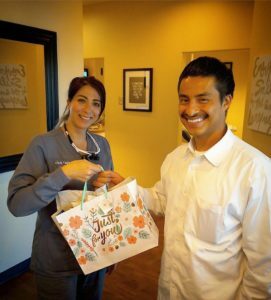 Dental Cleaning in Costa Mesa & Orange County - SCHEDULE TODAY! 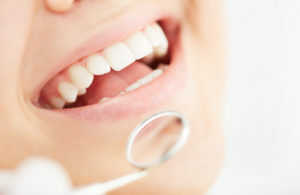 A dental cleaning is a procedure that removes plaque and tartar from our teeth. Plaque is a biofilm and the byproduct of bacteria. These bacteria break down food and drink causing a sticky film to grow on the surface of teeth. When plaque hardens over time, it turns into tartar. Tartar is much more difficult to remove with at-home cleaning and once it starts to build-up around the gum line can cause bleeding and tooth decay. A professional cleaning uses special instruments to remove the plaque and tartar allowing your gums and teeth to be free of havoc-wreaking bacteria buildups. However, a dental cleaning at Advanced Dental Care in Costa Mesa is much more than that. When you visit your dentist for a dental cleaning, the procedure is most often performed by a Registered Dental Hygienist (RDH). The RDH will perform an examination complete with photographs, x-rays, probing and charting. Obtain medical history, learn more about you as a patient, and brushing and flossing habits. 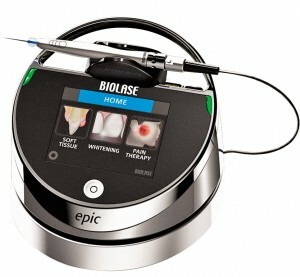 Visual inspection for redness, swelling, bleeding, and plaque and tartar. Assess your bite, the condition and shape of the tongue, the condition of the palate and throat, and alignment of your teeth. Evaluate for areas of potential decay, malocclusion (misaligned teeth), sleep apnea, and oral cancers. Keep a visual record of your teeth both from outside of your mouth and of the inside of your mouth. Photos are also easier for the patient to see compared to x-rays. Digital radiographs of the tooth, changes in density under the surface, the tooth root, and surrounding bone. Helps detect decay, infection, bone less, and physical abnormalities. 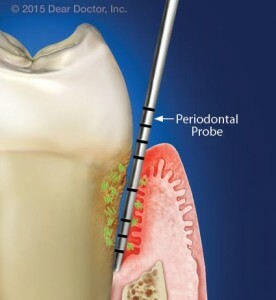 Uses a dental probe to measure depth of space between the gum line and where the gum attaches to the tooth, gingival margins, plaque levels, bleeding, and furcation (bone loss). Documents health and condition of your gums. usually covered 100% by dental insurance (varies by individual plans) – No insurance? Click here! can be covered by dental insurance under Periodontics – No dental insurance? Click here! 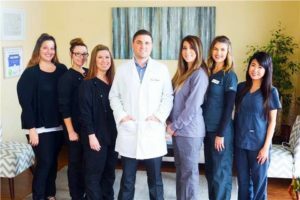 We’re always accepting New Patients and Dr. Jorgenson and his team can’t wait to meet you! 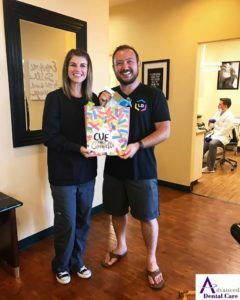 We value our time with patients as dental cleaning and they aren’t just “routine” to us. 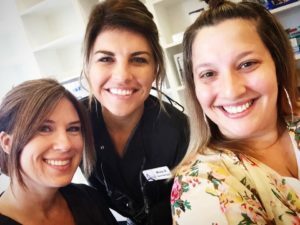 Each visit is as special as the patient and we love getting to know more about you, your family and friends, and how we can help you lead the healthiest life possible. 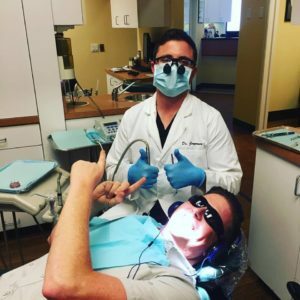 Schedule your dental cleaning today at Advanced Dental Care in Costa Mesa, CA! Get Directions! Call/text us at (714) 424-9099, on our website at www.mycostamesadentist.com where you can choose your appointment day and time or live chat us or send us a message, by email at info@mycostamesadentist.com, or through our social media accounts.